PHILADELPHIA, PENN. 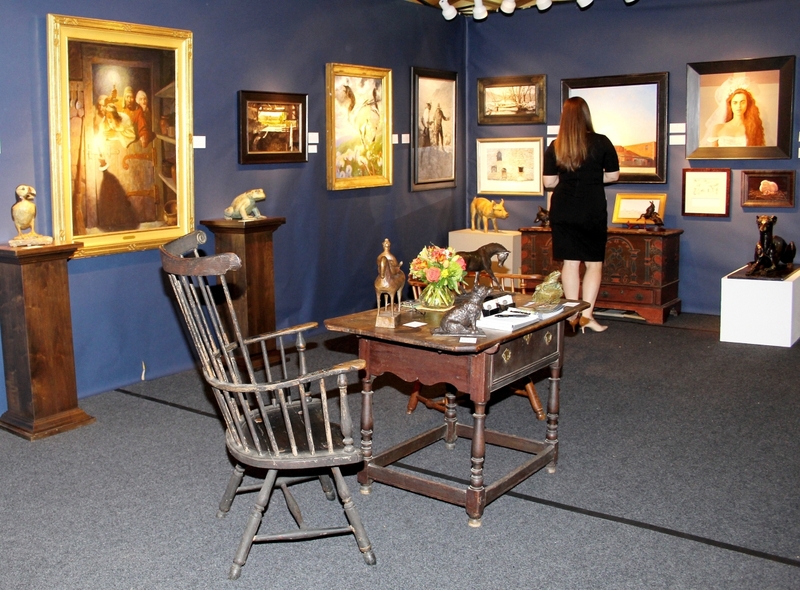 – There are a handful of shows nationally for which dealers save. 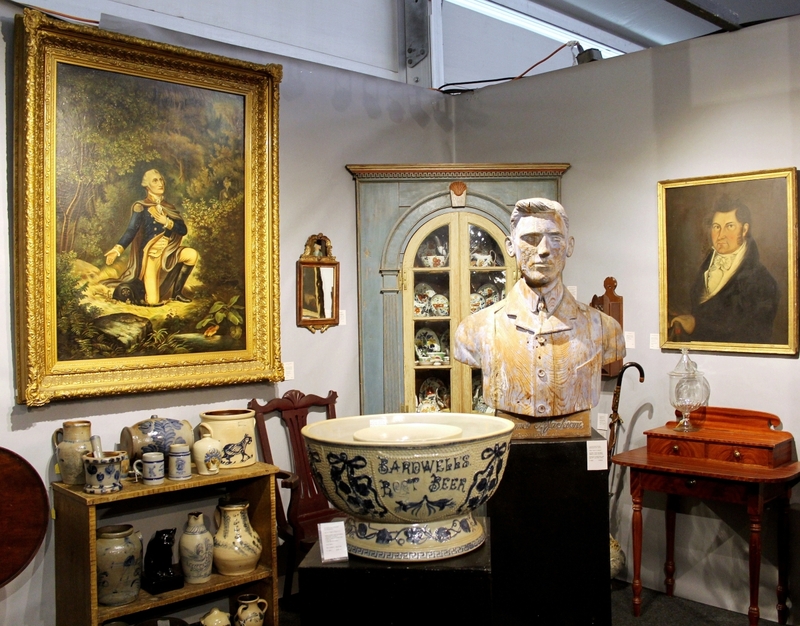 The Philadelphia Antiques and Art Show, at the Navy Yard April 20-23, is one of them. 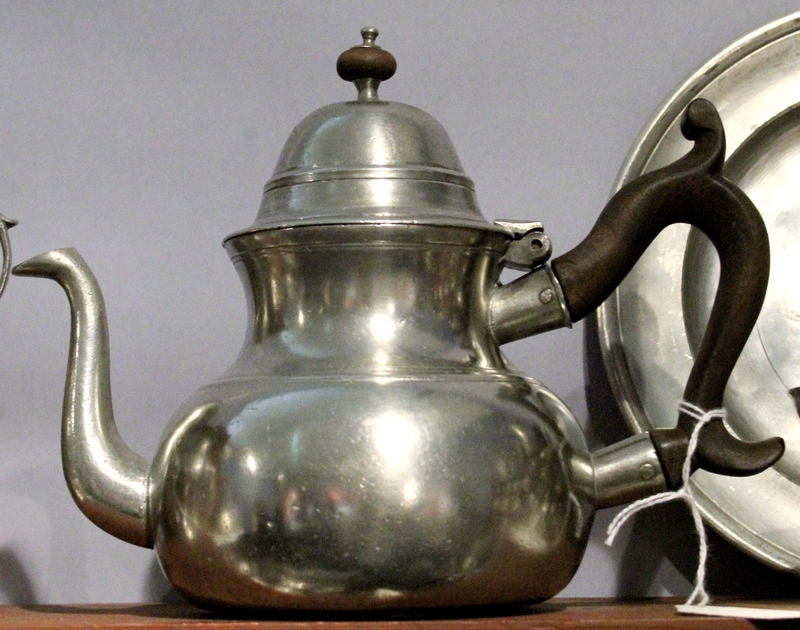 Much of what surfaces here exceeds expectation. 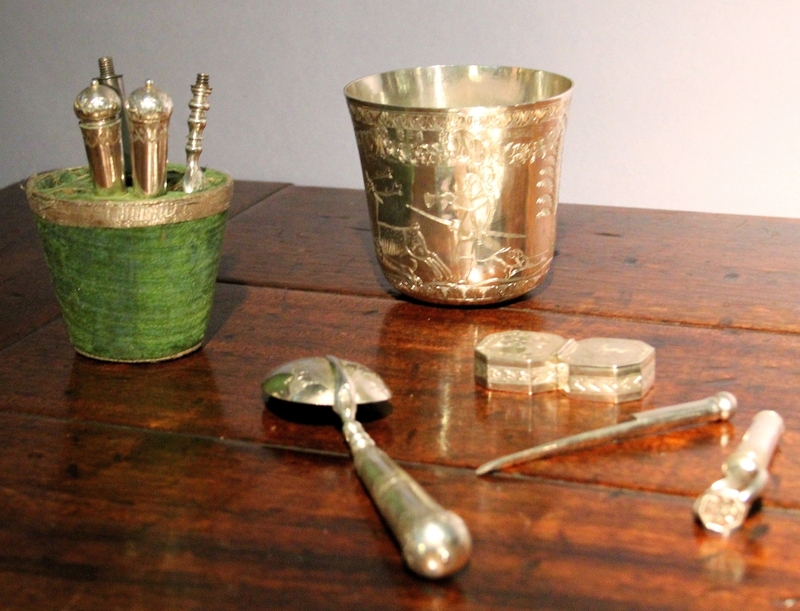 Special pieces, worthy of the superlatives lavished on them, contribute to the dazzlingly prismatic whole. 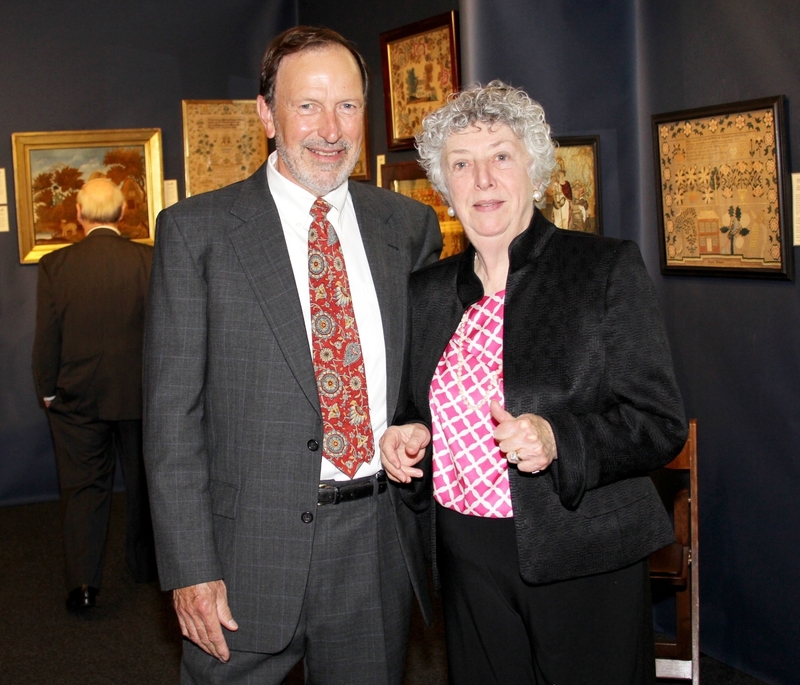 Ralph and Karen DiSaia, pictured, teamed up with Diana Bittel to manage the show. 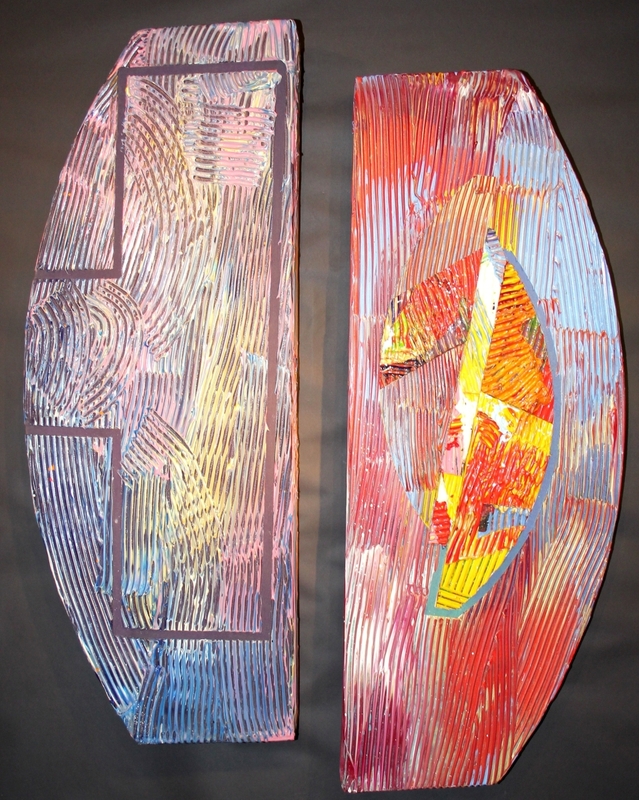 Founded in 1962, the show sponsored by Penn Medicine and chaired by Anne Hamilton, Nancy Kneeland and Nancy Taylor is a tour-de-force production, as well. 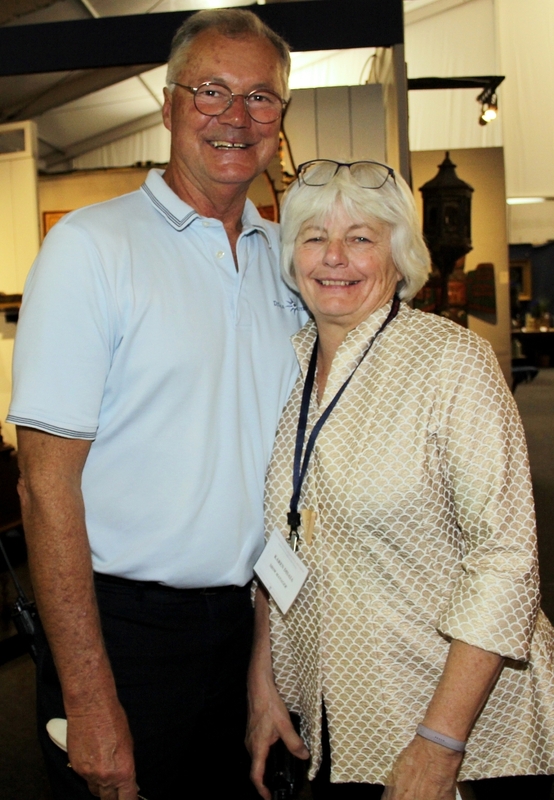 Managers Ralph and Karen DiSaia working with Diana Bittel build what amounts to a small city in a tent – one with plumbing, lighting, heating, cooling, concessions and events spaces – on the Marine Parade Grounds. 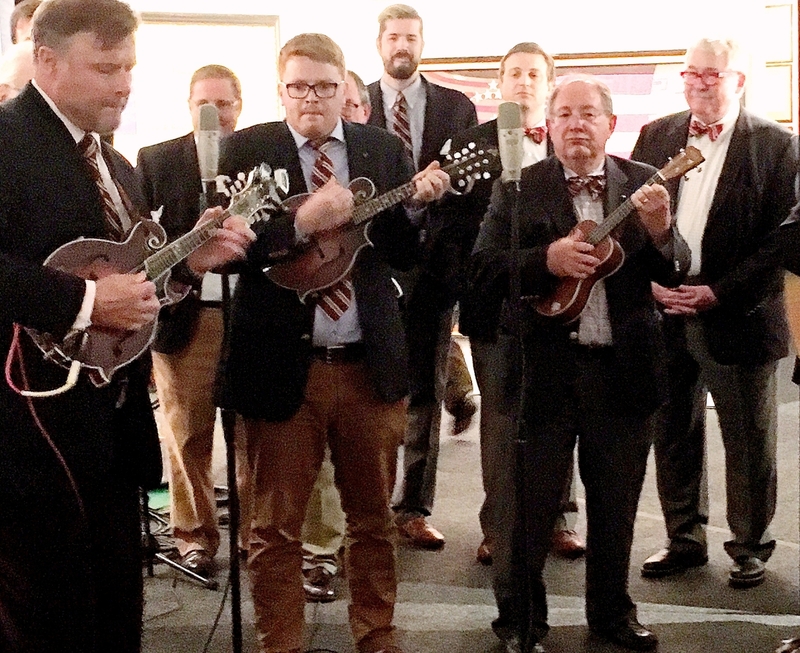 The backbreaking effort of this small crew results in a polished, distinctive backdrop for the arts in one of the city’s most promising new districts. 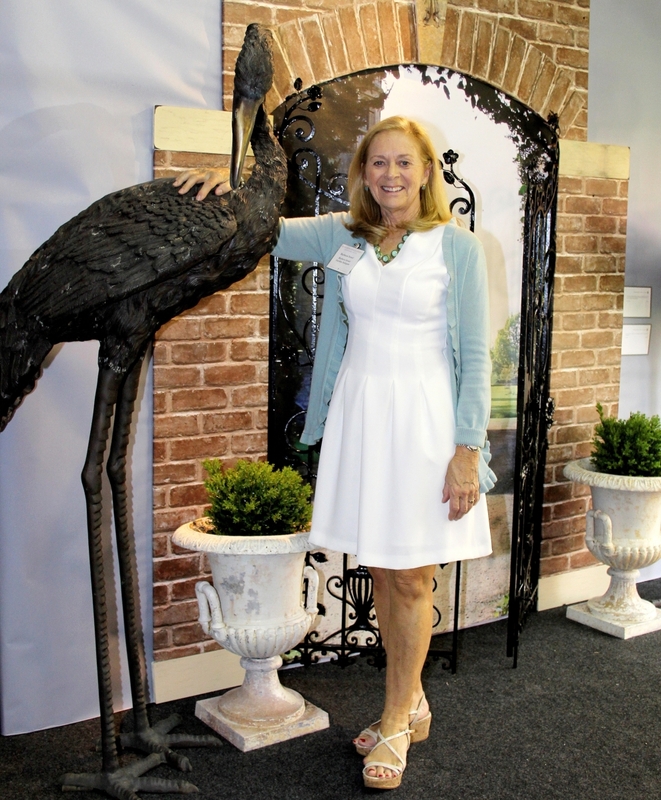 The show got off to a festive start on Thursday, April 20, with a party benefiting Penn Medicine’s Radiation Oncology’s Quality of Life Program. Opening night attendance seemed a bit lighter than last year, but the traffic picked up through the weekend. 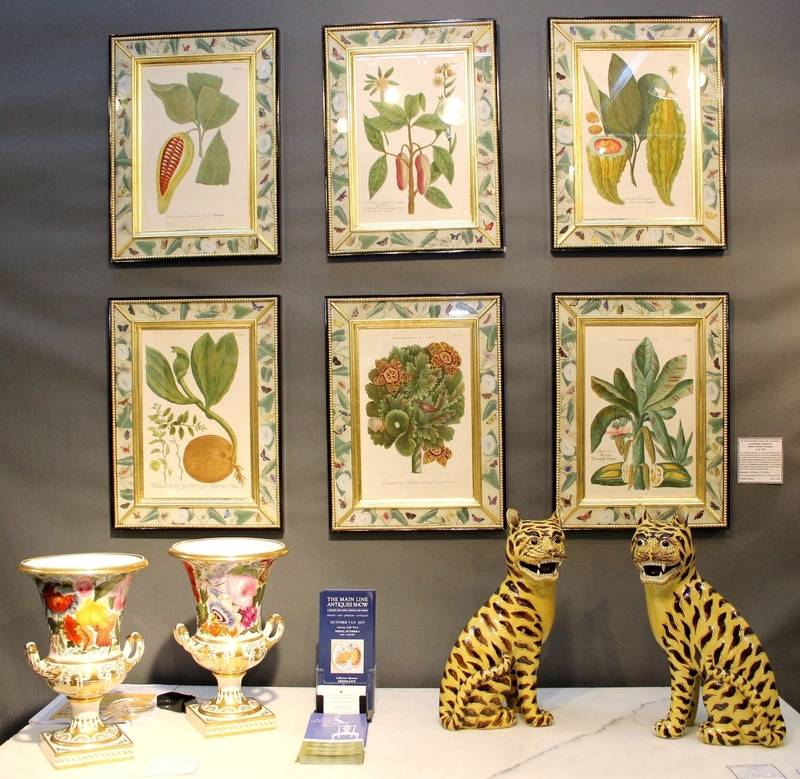 “Collectors came through over the course of the show. 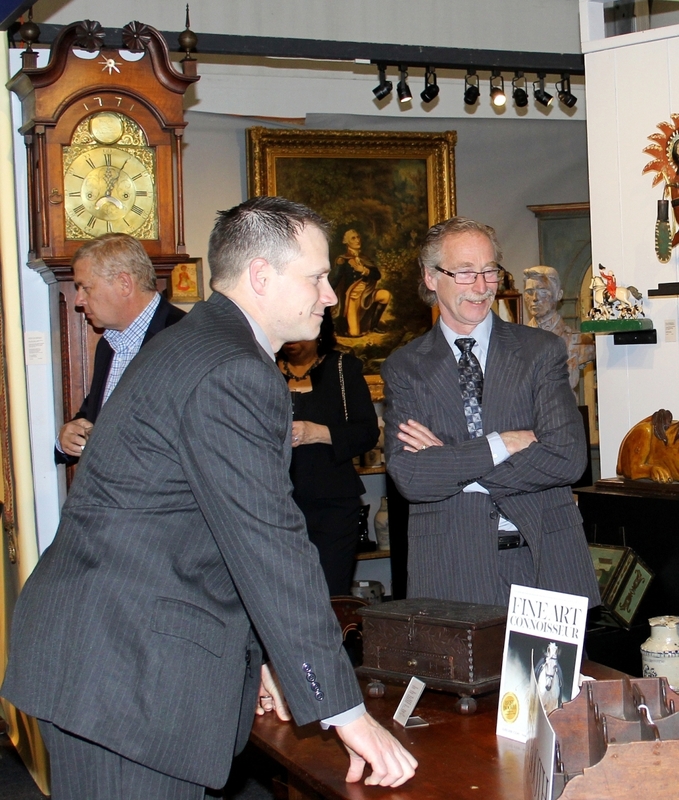 There was quite a lot of buying and a number of possible museum deals,” said Karen DiSaia. 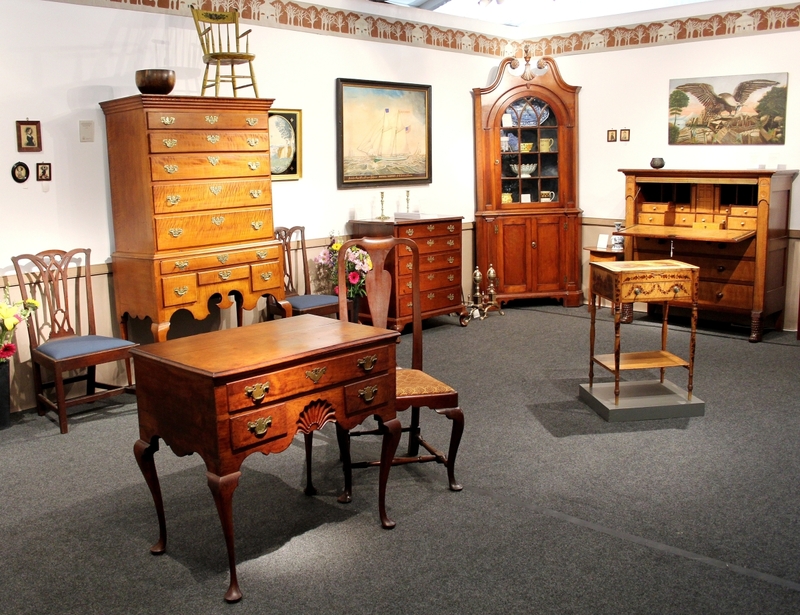 Furniture dealers, especially those with well-established followings in Pennsylvania and the Mid-Atlantic states, did well. 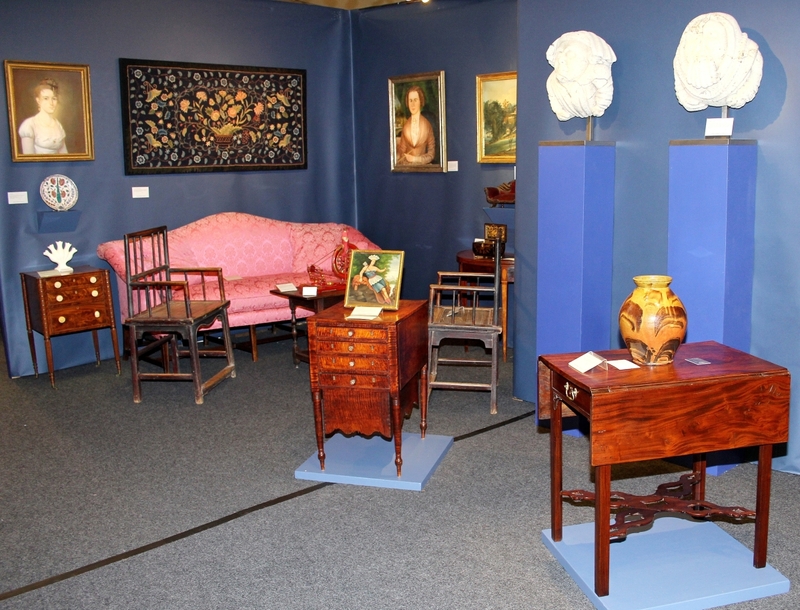 Dealers in fine arts continue to struggle in this forum best known for American decorative arts. 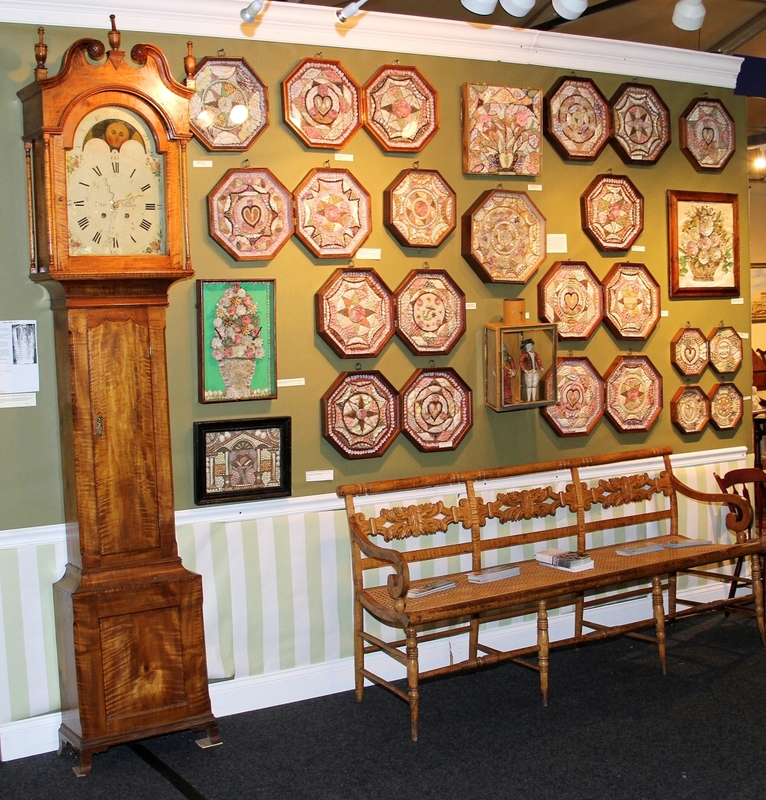 “There were more sales than last year and the crowds were really good, but, as with many shows these days, smaller things and accessories tended to be what sold,” said one exhibitor, echoing a familiar refrain. 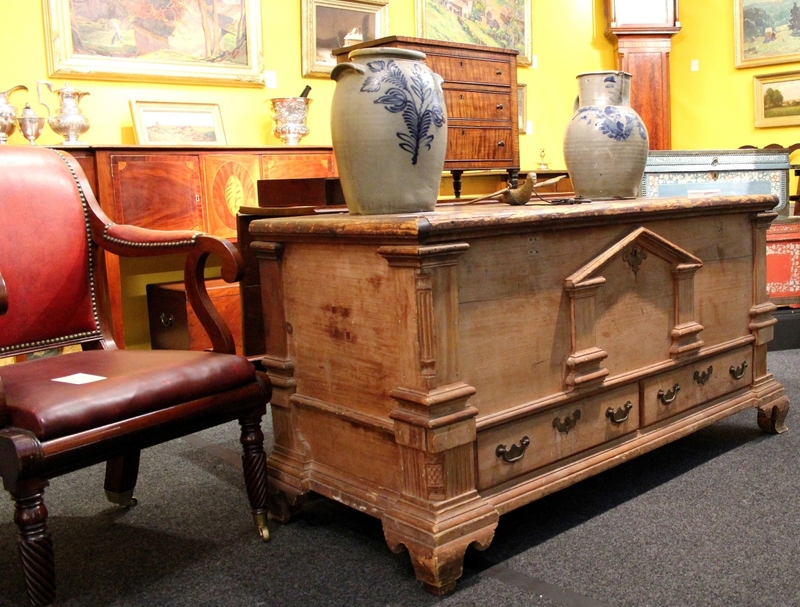 Formal American furniture specialist Bernard and S. Dean Levy Antiques wrote up a pair of Queen Anne Philadelphia side chairs, a sideboard, knife boxes, a Pembroke table, ceramics, andirons and fire tools. 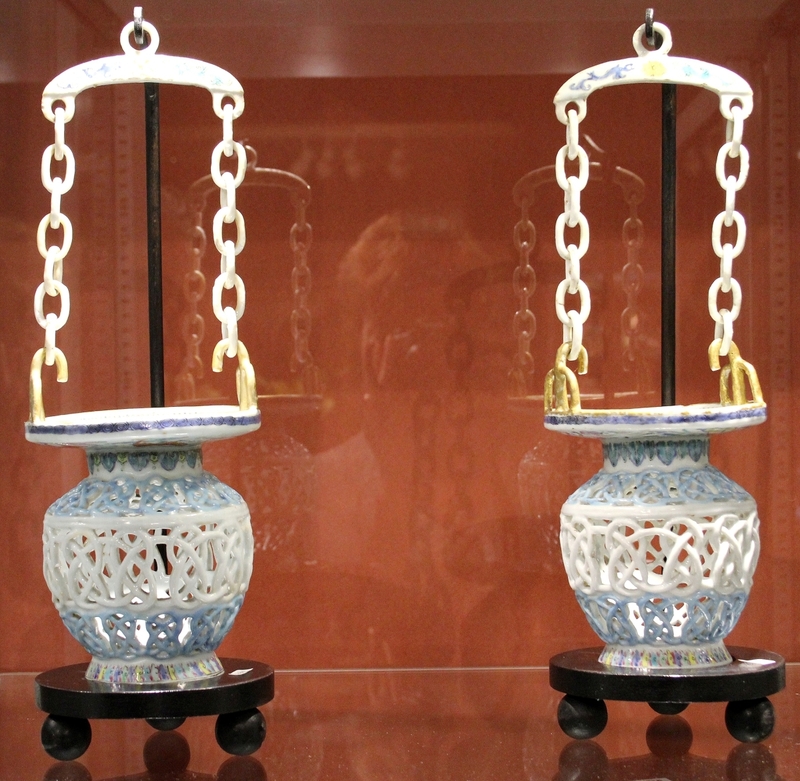 Most of his sales were to new customers, New York dealer Frank Levy said. 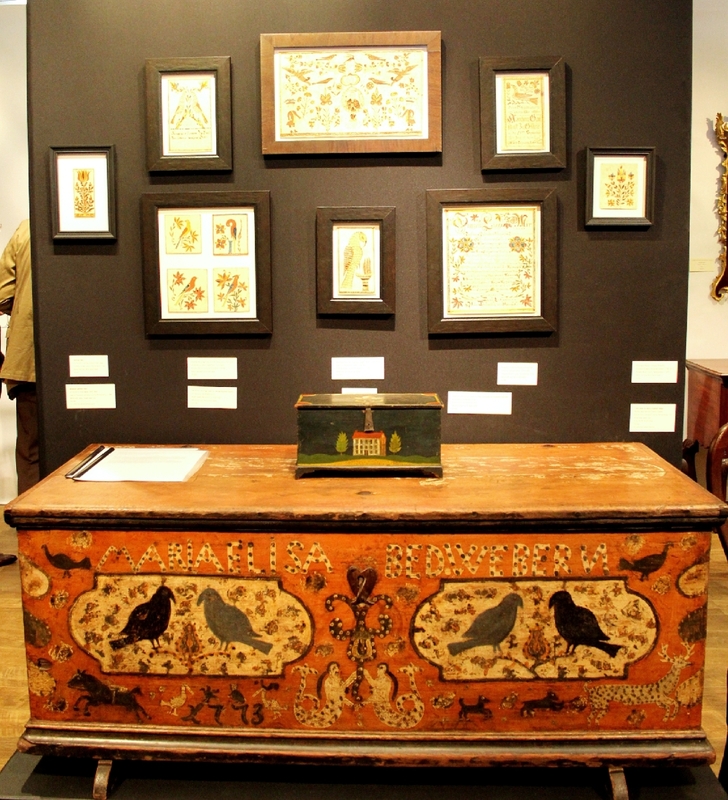 Philip Bradley sold a painted blanket chest made for Maria Elisabeth Weber, possibly decorated by Friedrich Speyer, Ephrata area, Lancaster County, Penn., in 1773. 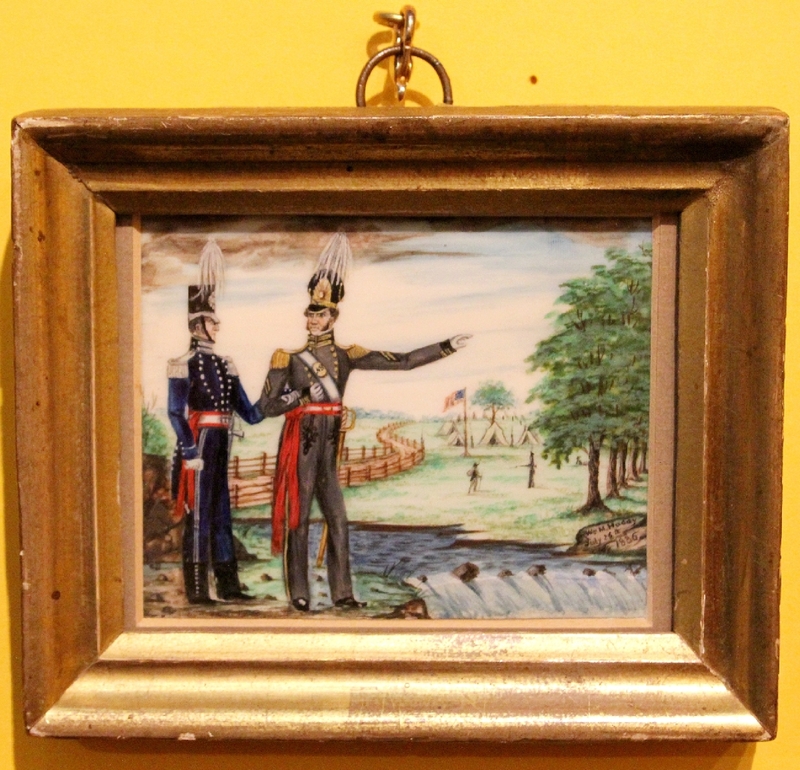 Atop it sat a miniature painted chest attributed to Jonas Weber of Lancaster County, ex-collection of Water Himmelreich. 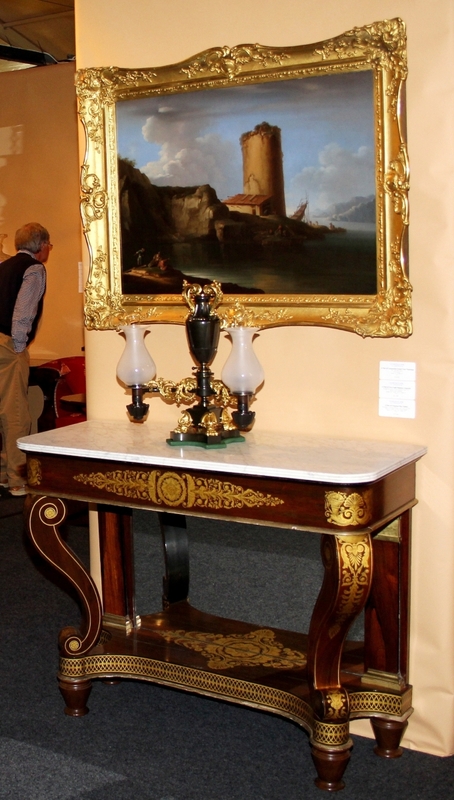 A shoe-foot pine hutch table with a scrubbed, three-board top was a choice item at Peter Eaton, who dates the New Hampshire piece to the last quarter of the Eighteenth Century. 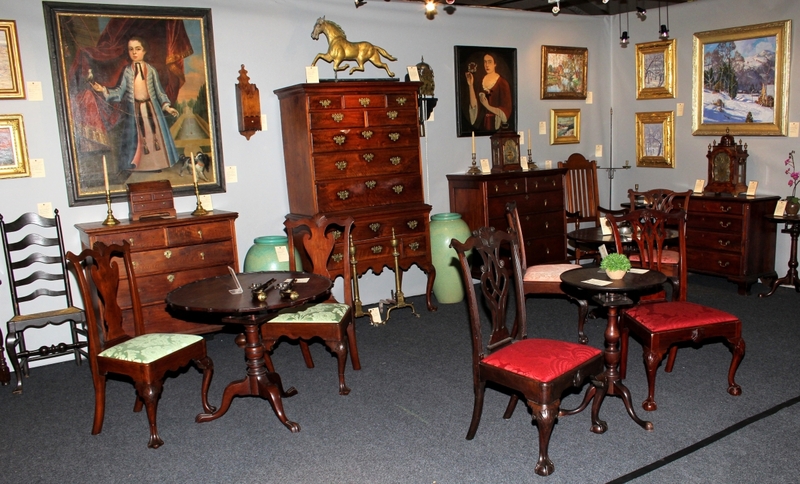 The Newbury, Mass., dealer sold a desk, chairs, a fireboard, candlesticks and a mirror. 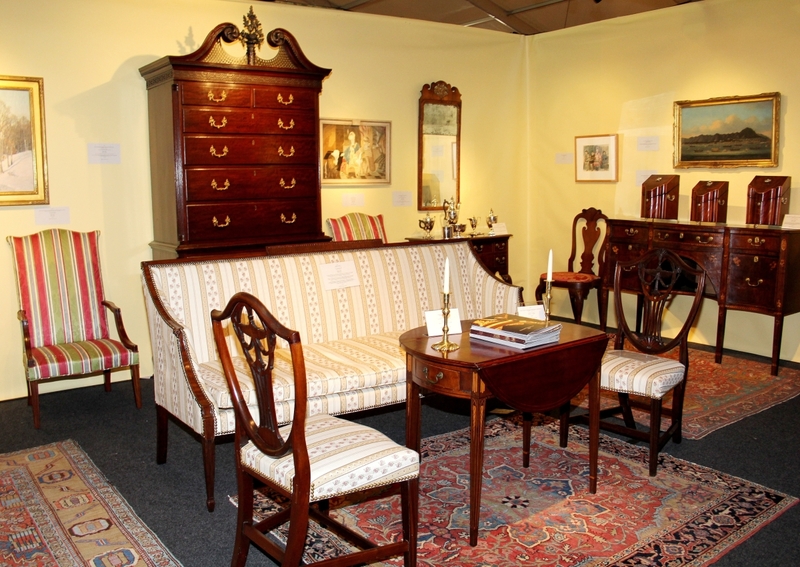 Nathan Liverant and Son scored a trifecta, selling a shell-carved Rhode Island Queen Anne dressing table and a related chair, new discoveries that descended in the family of the original owners until recently. 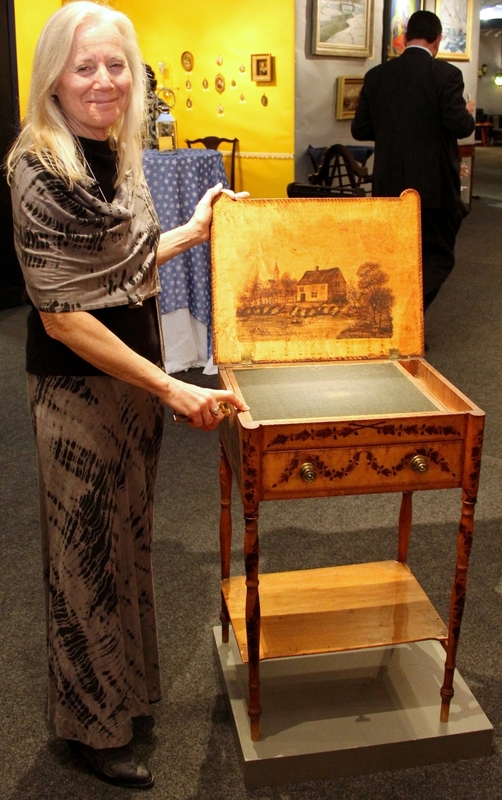 Liverant also parted with an 1814 sewing table decorated by Sarah Leavitt (1796-1837), a Northampton, Mass., girl thought to have attended Deerfield Academy. 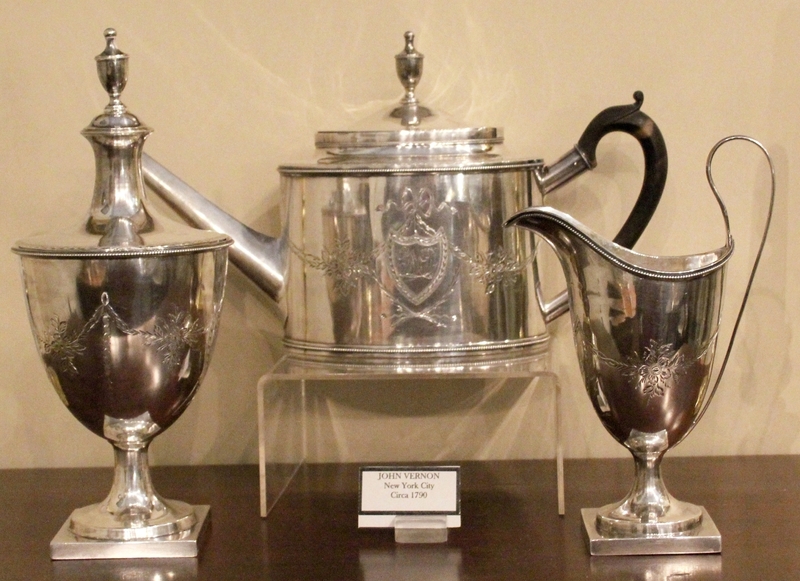 Leavitt’s grandfather was Yale president Ezra Stiles. 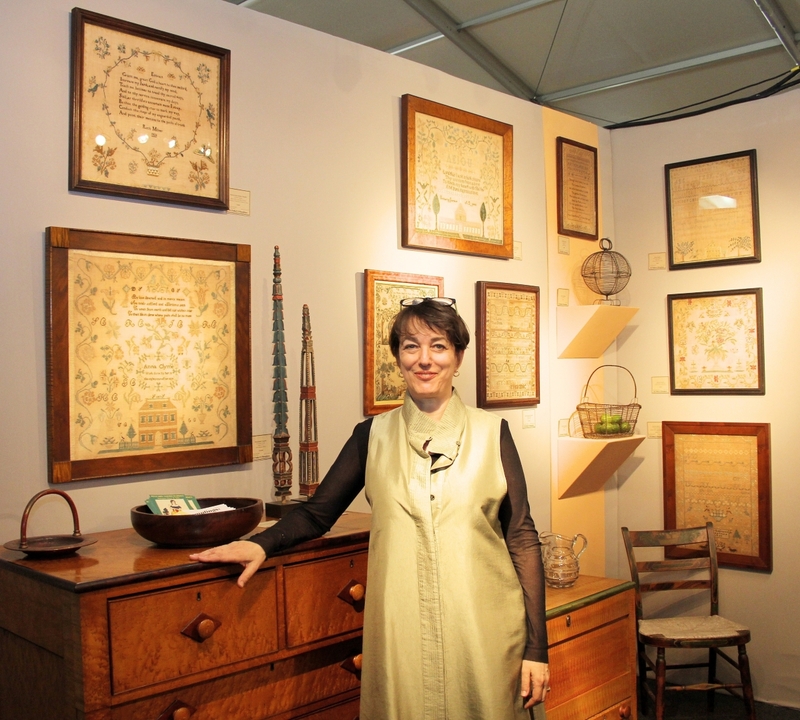 Historic Deerfield owns a painted and embroidered pole screen by Sarah. 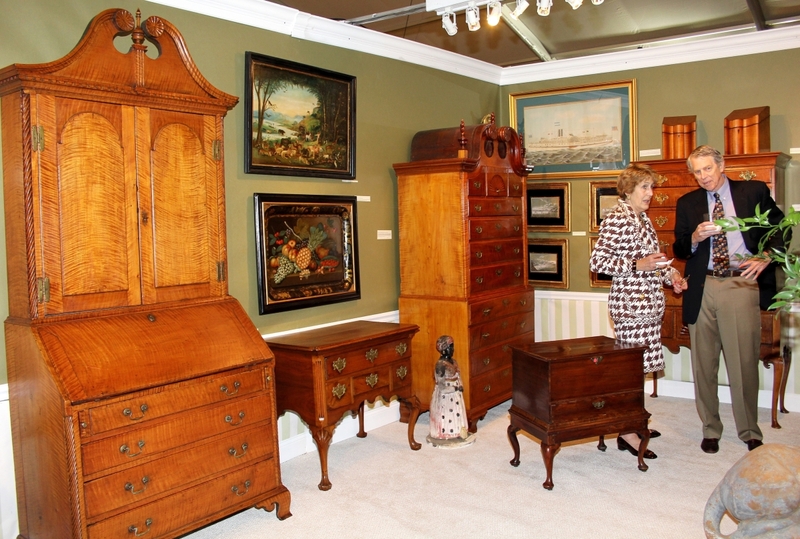 Facing the café, Bryn Mawr, Penn., dealer Diana Bittel sold a Bermuda chest on stand at the beginning of the fair and wrapped up the weekend with sales of a tiger maple secretary desk and a chest on chest, both from New England. 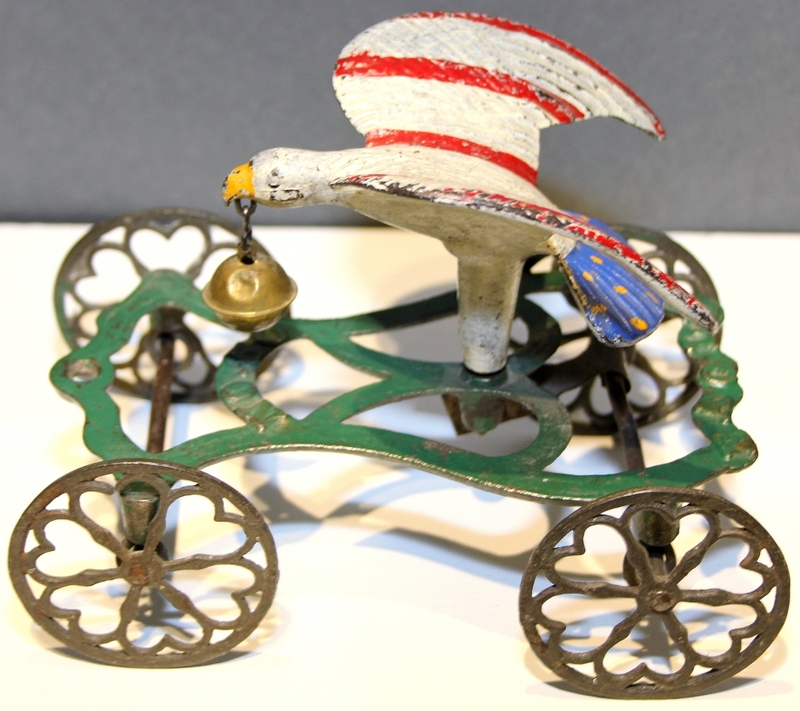 “It was a great relief not having to get them back on my truck,” she joked. 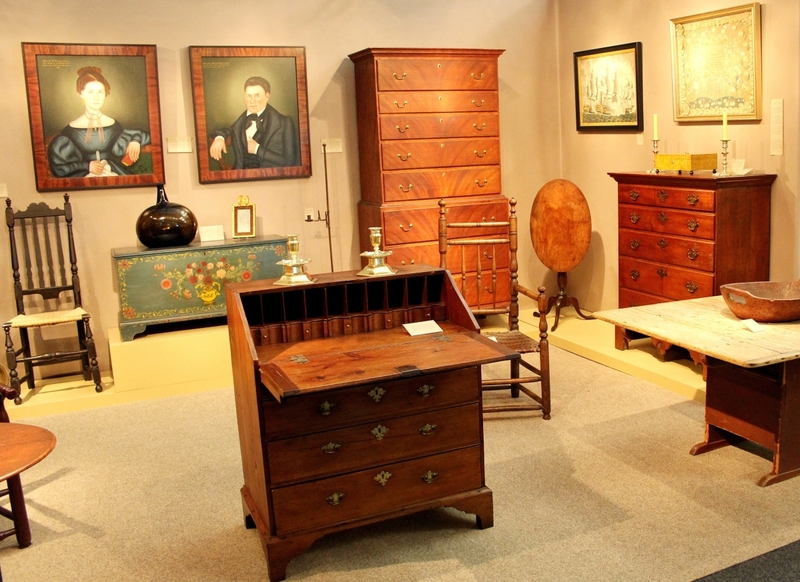 “We sold an architectural corner cupboard and two paintings, have some things out on approval and we are considering some offers,” Pennsylvania dealer Jamie Price revealed. 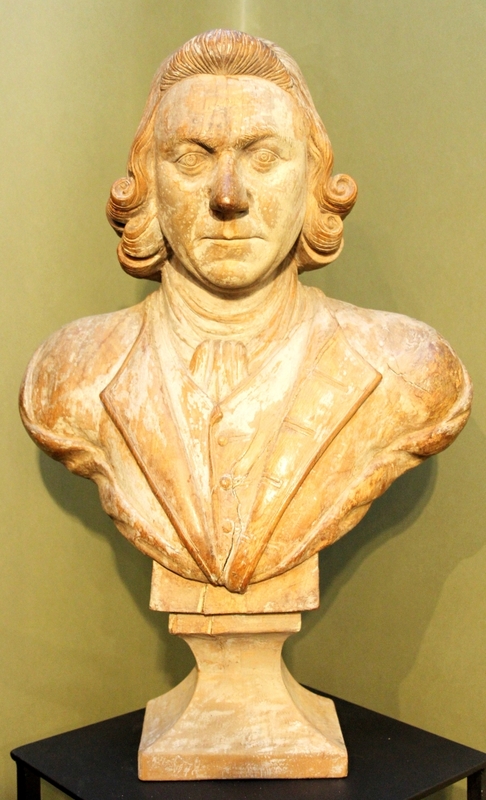 Peter H. Eaton, Newbury, Mass. 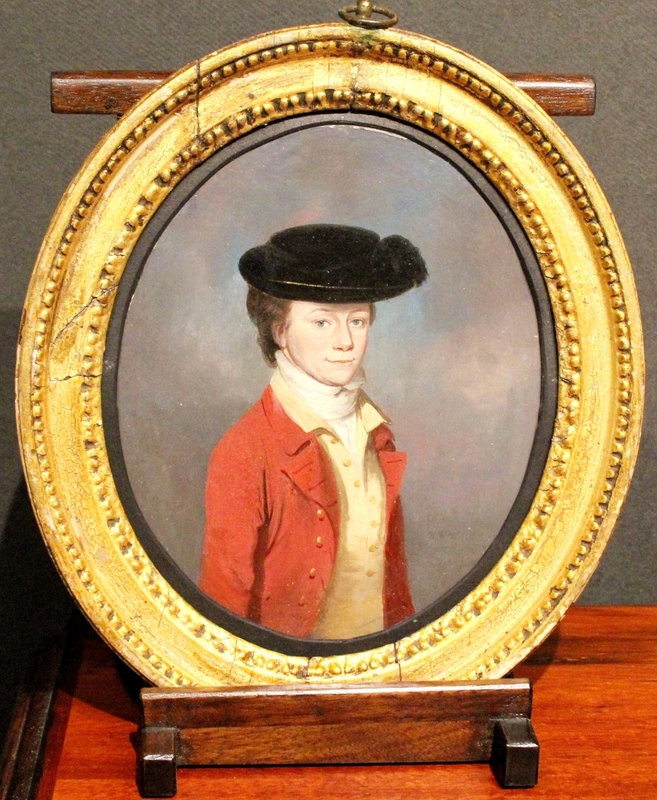 “We sold our linen press, pier table, two-drawer stand and several portraits, including one of three boys by J. W. Stock,” said Pennsylvania dealer Christopher Rebollo, whose signature offering was an Isaac Vose and Son of Boston settee retaining original labels and signatures proving it was made for export to Charleston, S.C., around 1820.
Notable timepieces included a signed iron and brass lantern clock, circa 1690-1700, made by Peter Stretch before he emigrated to Philadelphia in 1702 at H.L. 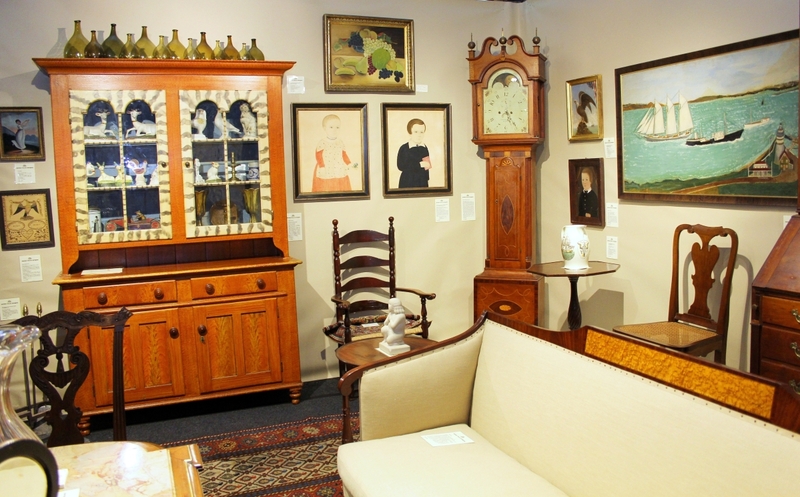 Chalfant; a signed Eli Porter of Williamstown, Mass., tall clock at Jeffrey Tillou; and an eight-day West Virginia tall clock with works by Samuel Martin at Sumpter Priddy III. 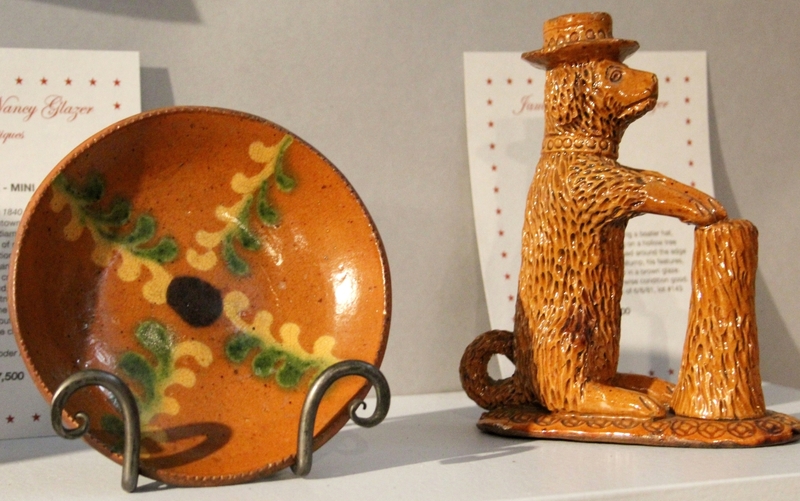 “We were well received and did some good business,” said Jim Glazer, a Maine dealer whose display mingled traditional Pennsylvania redware with folk paintings by the Grenada-born artist Emmanuel Canute Caliste. 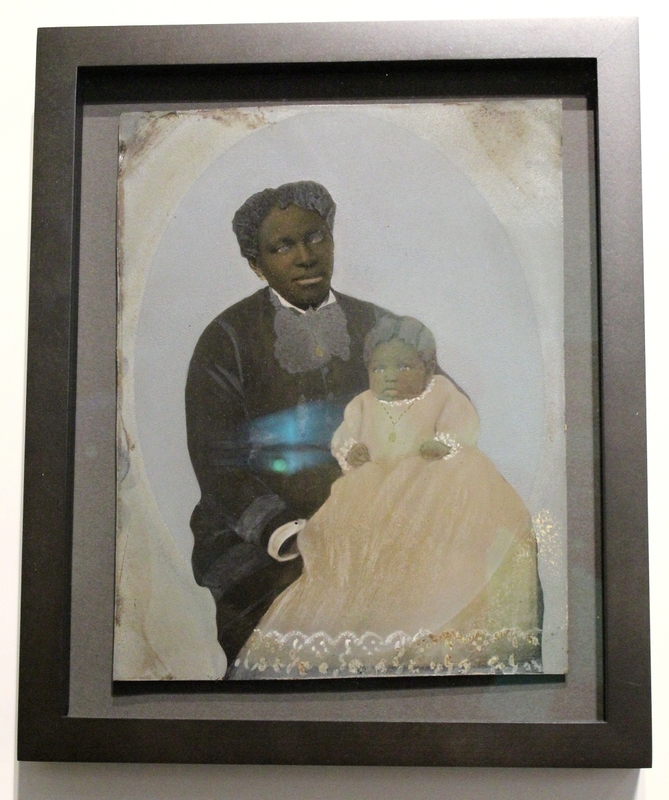 Steven S. Power’s imaginative presentation gathered folk carving and hand painted photographic tintypes. 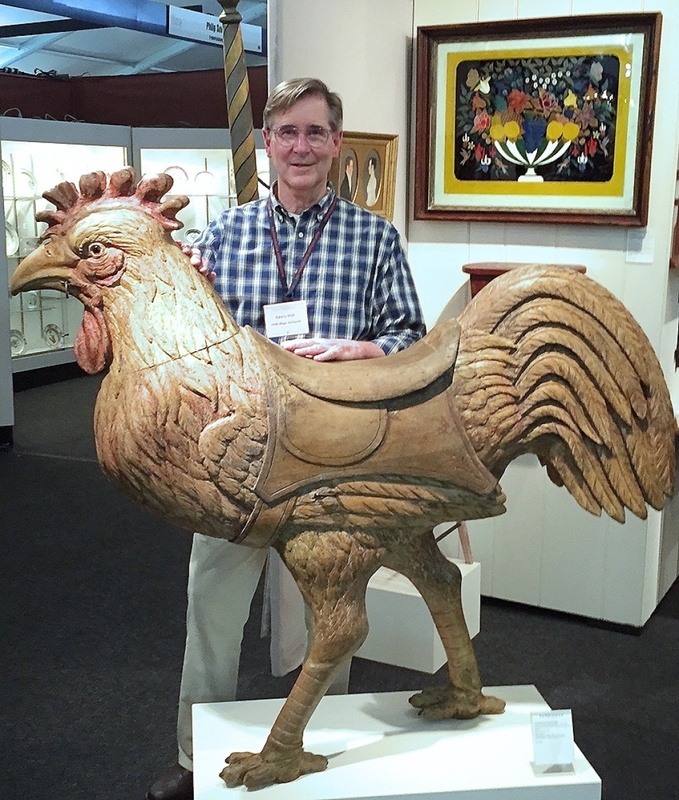 More outstanding carvings surfaced at Olde Hope Antiques, which featured a rooster carousel figure carved by the Dentzel Company of Philadelphia, and at Kelly Kinzle, where a carved pine weathervane depicting Angel Gabriel was thought to be the work of sawmill foreman Ira Thomas Hess. 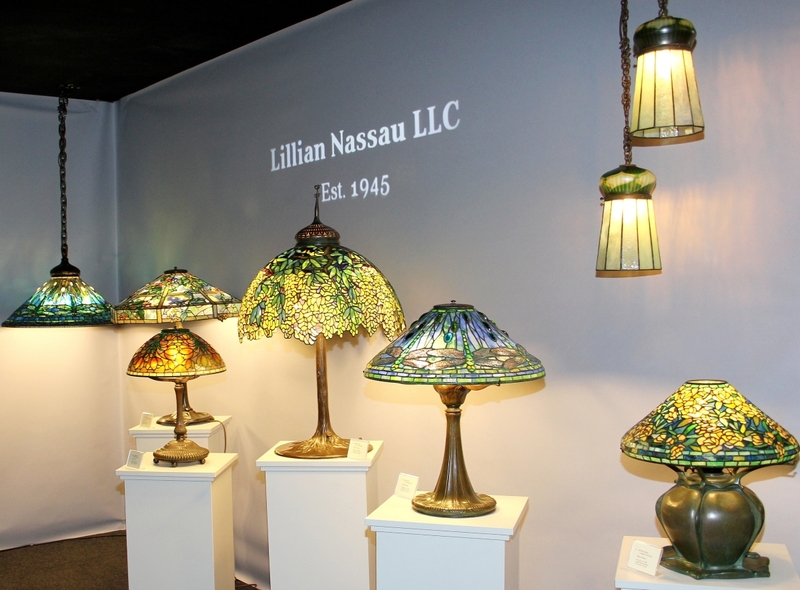 “The show was very well attended with lots of serious interest and several notable sales for us, including our great John Long lamp featured in the show catalog,” said Woodbury, Conn., dealer David Schorsch. 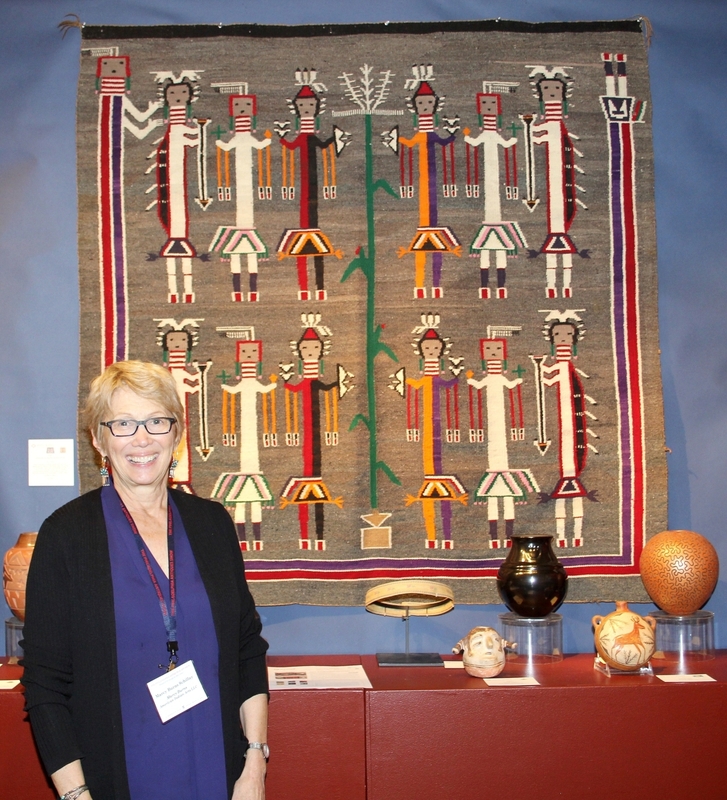 In anticipation of a forthcoming book on ceremonial weavings, Marcy Burns, the show’s only dealer in Native American art, hung on her wall an important 1920s Navajo sandpainting rug that descended in a prominent East Coast collection. 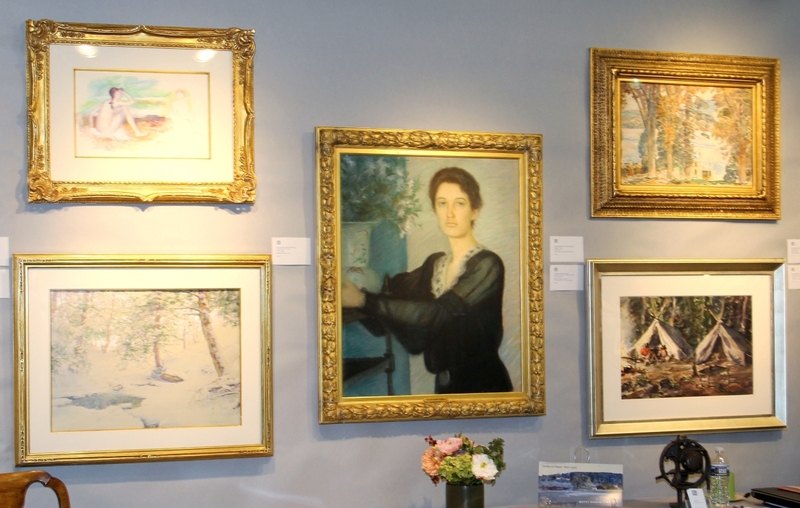 Several exhibitors honored the Philadelphia Museum of Art’s major exhibition “American Watercolor” by showing significant works on paper of their own. 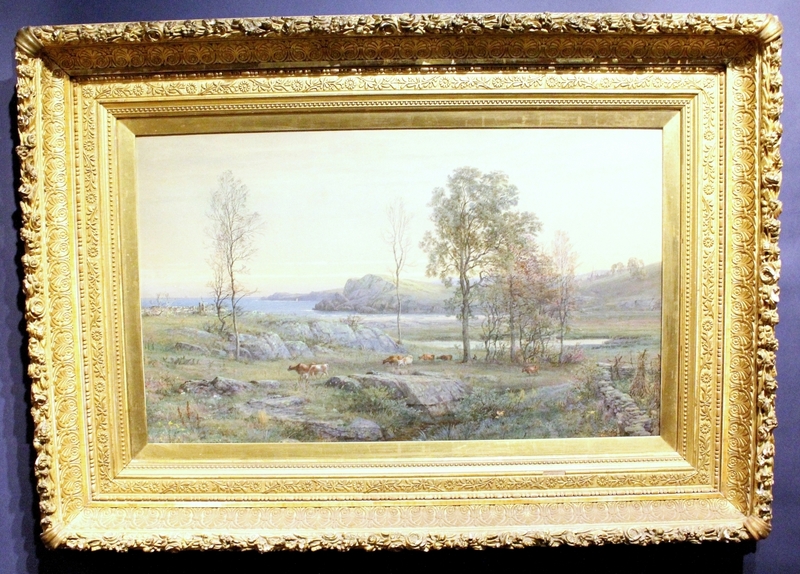 Among them, the Cooley Gallery featured two outstanding watercolors by William Trost Richards. 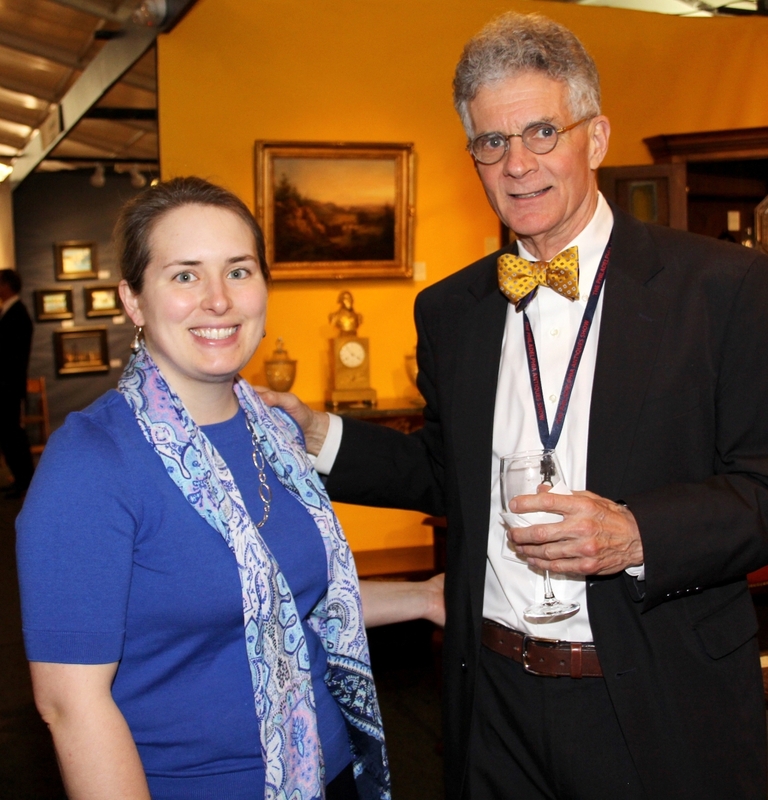 Betty Krulik offered “Philae from the island of Biggen” by Henry Roderick Newman. 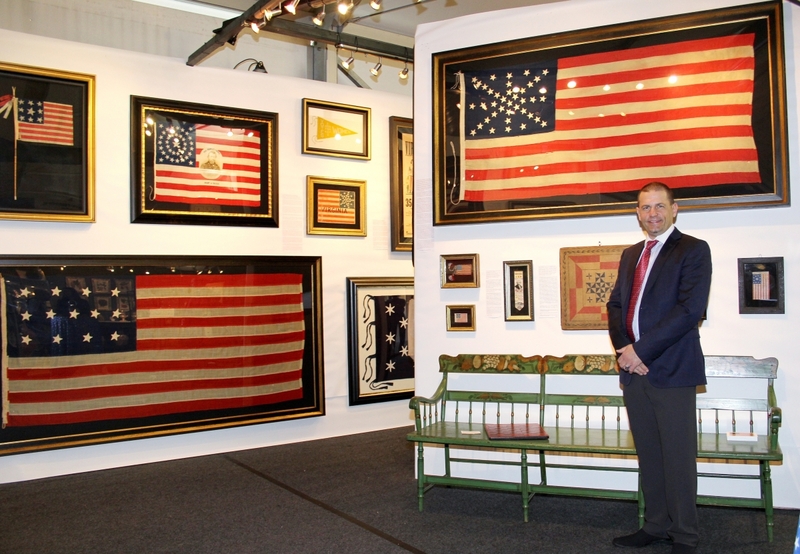 “I met wonderful collectors and, while I sold nothing in the stand, I have hope for follow-ups based on the collectors I met,” Krulik told us. 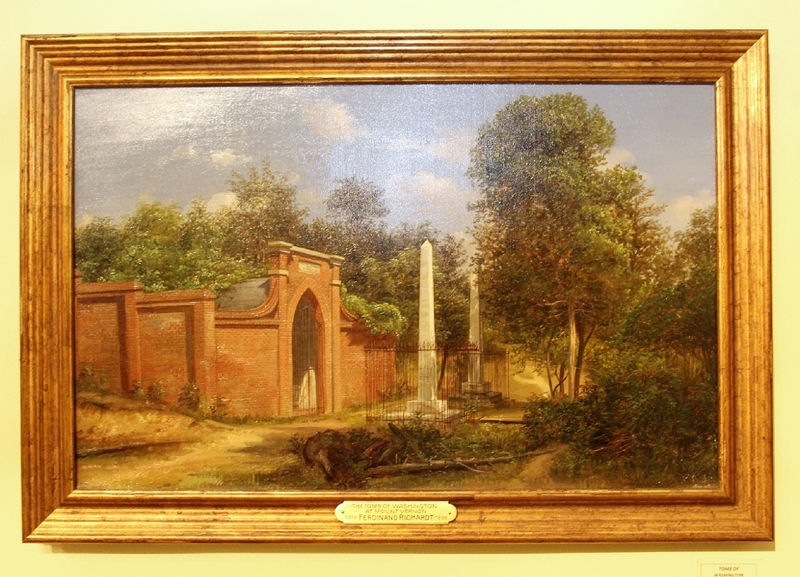 A Kentucky landscape signed and dated 1858 by Joseph Rusling Meeker, a New Jersey native active in Louisville from 1852 to 1859, was a highlight at Thistlewaite Americana. 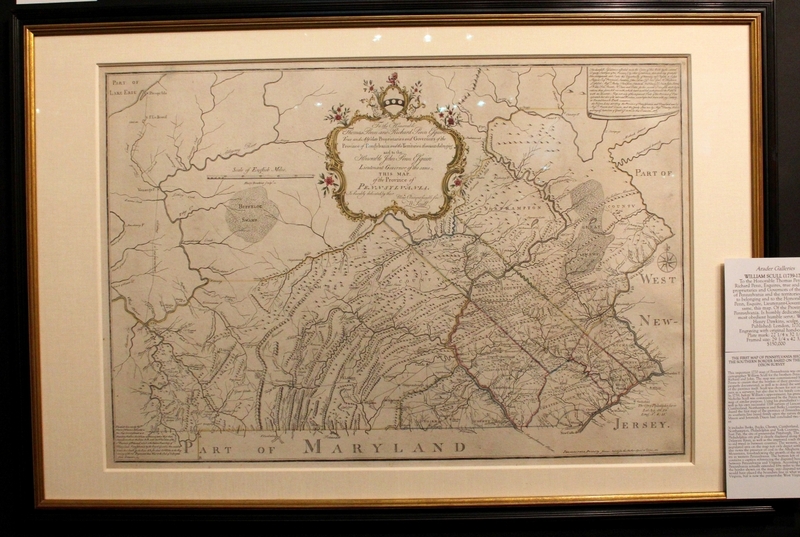 A companion pair of Grand Tour paintings hung over a pair of Classical pier tables attributed to Deming and Bulkley at Charles Clark, Woodbury, Conn.
Arader Galleries brought an important 1770 map of Pennsylvania by William Scull for the Penn brothers, published in London in 1770. 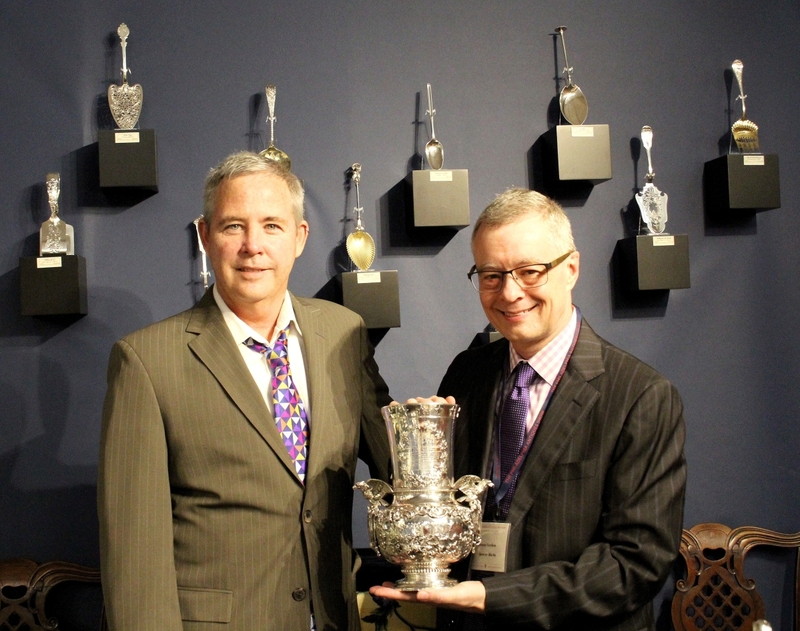 Silver specialists Mark McHugh and Spencer Gordon led with the President Grover Cleveland presentation vase by Mauser Manufacturing Company of New York City, circa 1895. 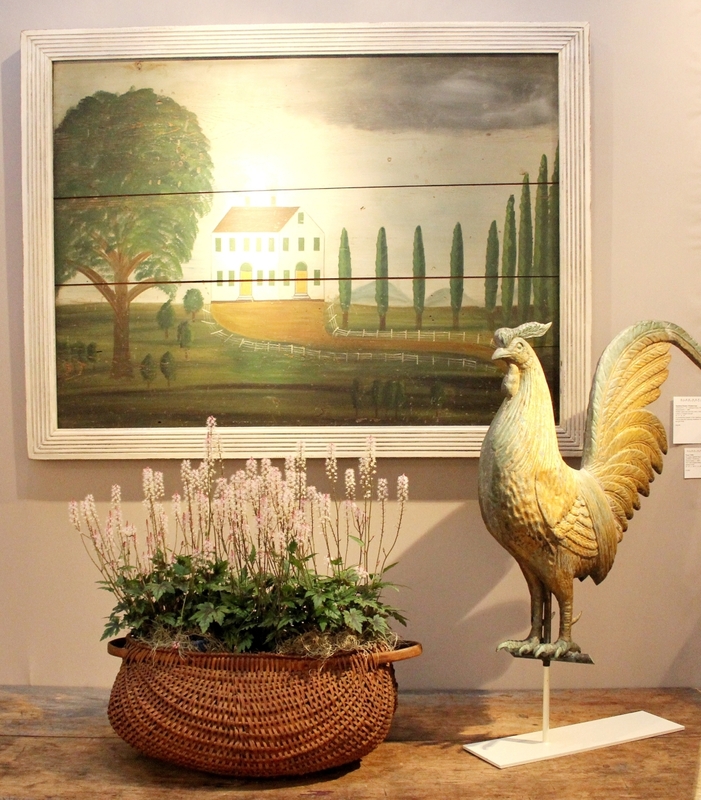 “We sold 27 objects, including a large Wood & Hughes figural centerpiece bowl and a rare Gorham trompe l’oeil tray,” McHugh noted. 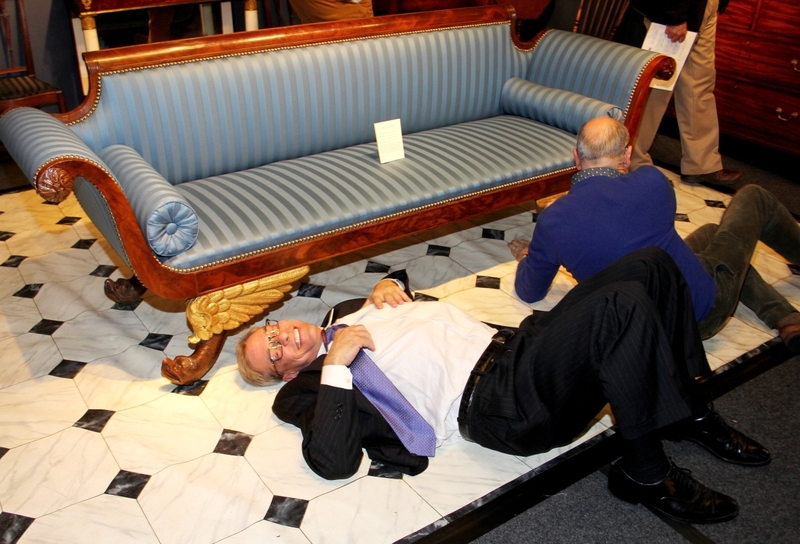 Chris Rebollo and Vose scholar Clark Pearce were floored by Rebollo’s settee, attributed to Isaac Vose and Son of Boston and retaining original labels proving it was made for export to Charleston, S.C., circa 1820. 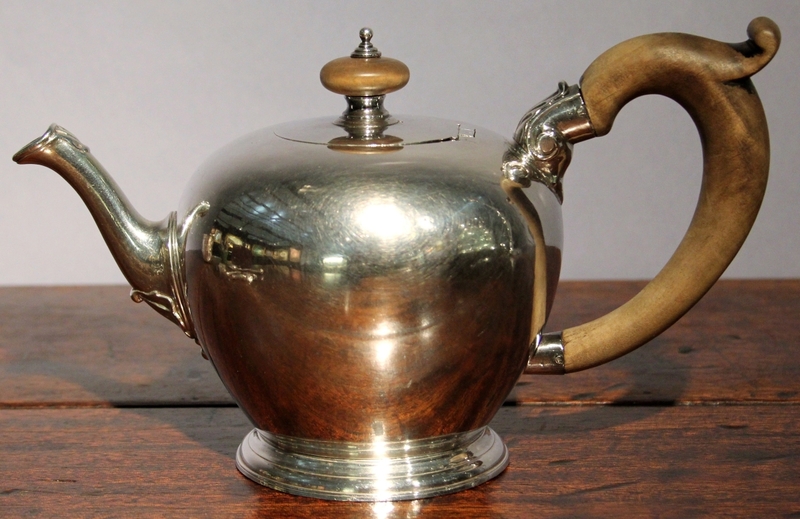 “We sold a lot of English pottery to a variety of people. 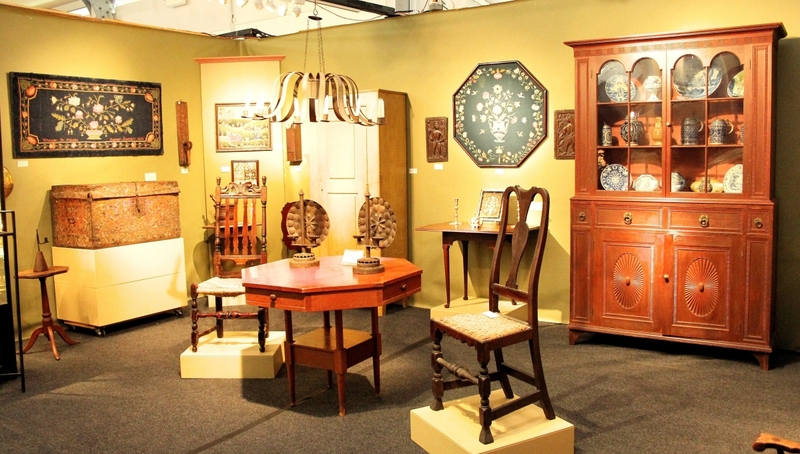 There needs to be a few logistical changes so buyers circulate on both ends of the floor, but people were in the mood to buy. 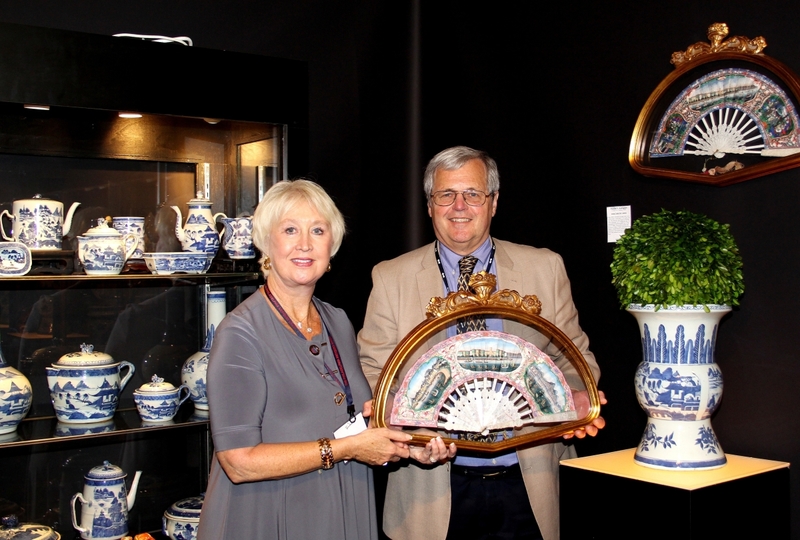 The show turned around on Sunday for us and was probably the best we’ve had in a few years,” said New York dealer Paul Vandekar. 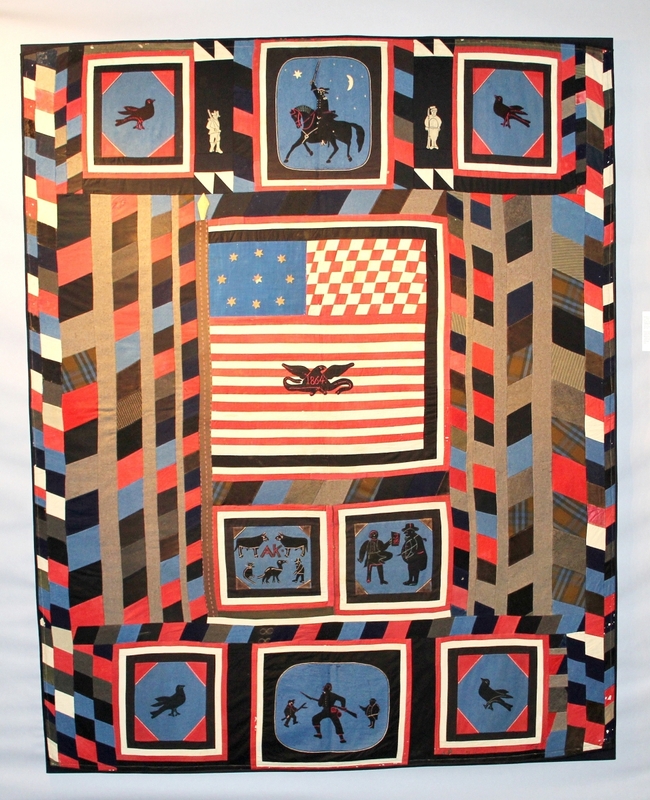 Old Saybrook, Conn., needlework specialists Stephen and Carol Huber sold the earliest known sampler to name Newport, R.I. Lydia Sanford worked it in 1766. 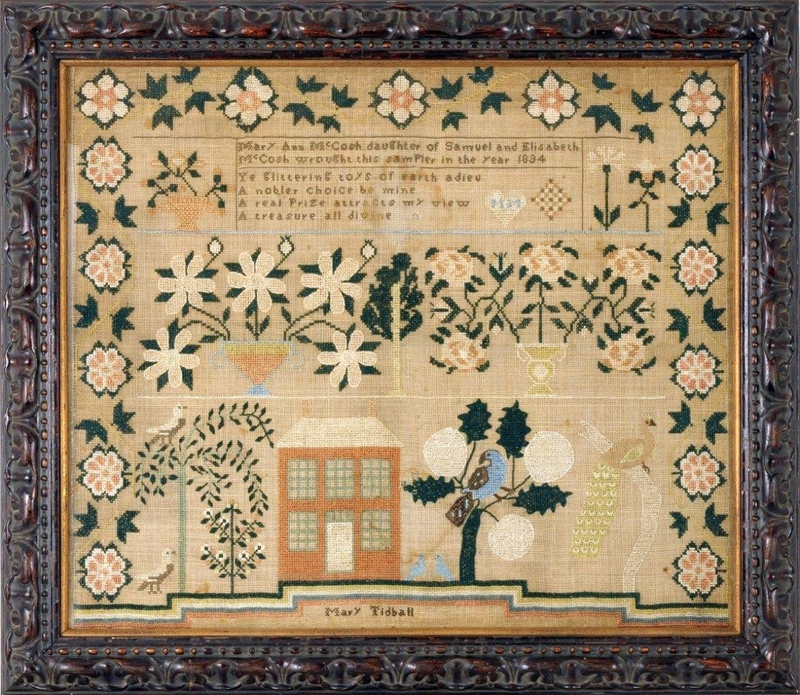 Among other fascinating specimens was an 1834 sampler shedding light on the connection between Mary McCosh of Washington County, Penn., and her teacher Mary Tidball, and an eccentric Adam and Eve sampler by Jane Wayman, probably from New York and dated 1792. 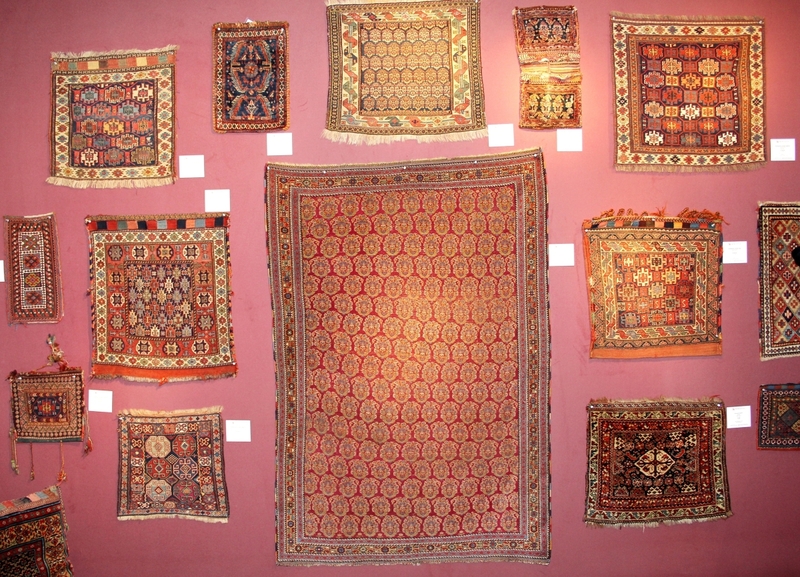 Oriental rugs expert Peter Pap mounted a thematic exhibition of weavings from several private collections. 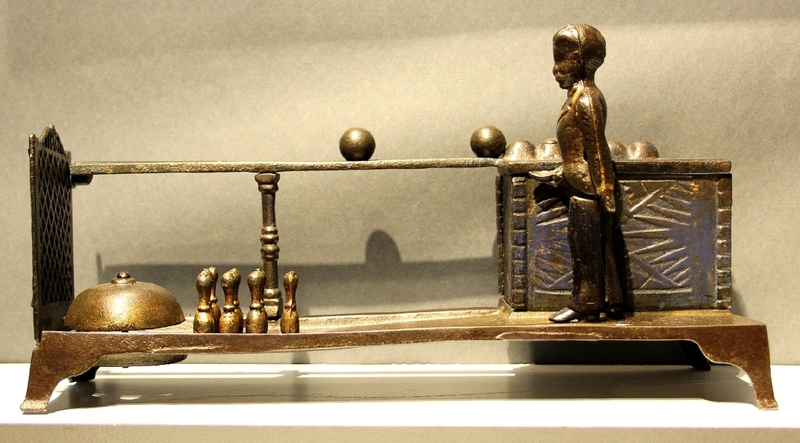 Sumak bagfaces blanketed one wall, suggesting a collecting strategy for would-be buyers. 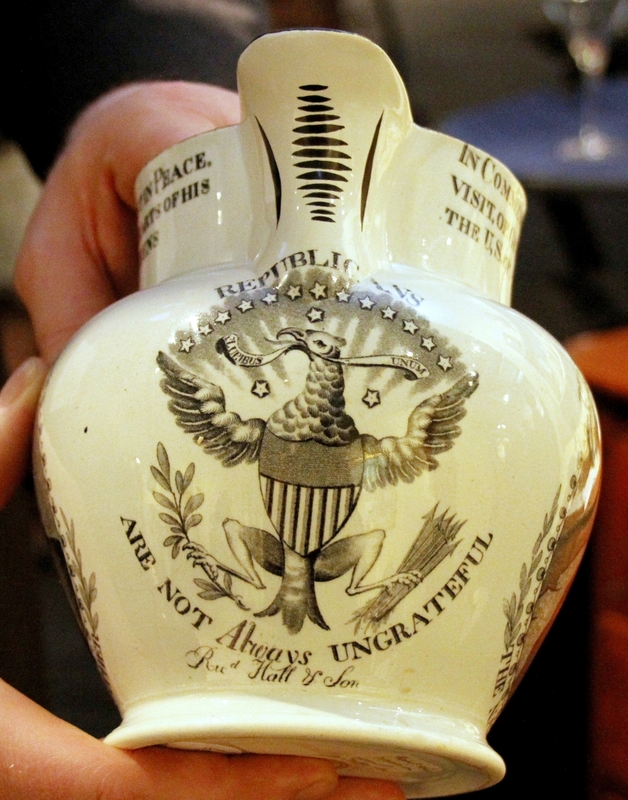 “A lot of people say ‘Philadelphia is back’ and I agree. 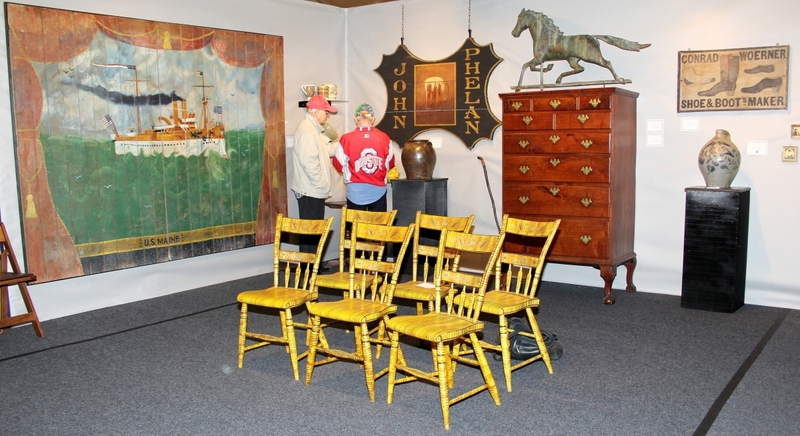 Now we need to communicate that to collectors from the Midwest, California, the South and New England,” said John Chaski, noting the enormous “quality and variety” of material on offer. 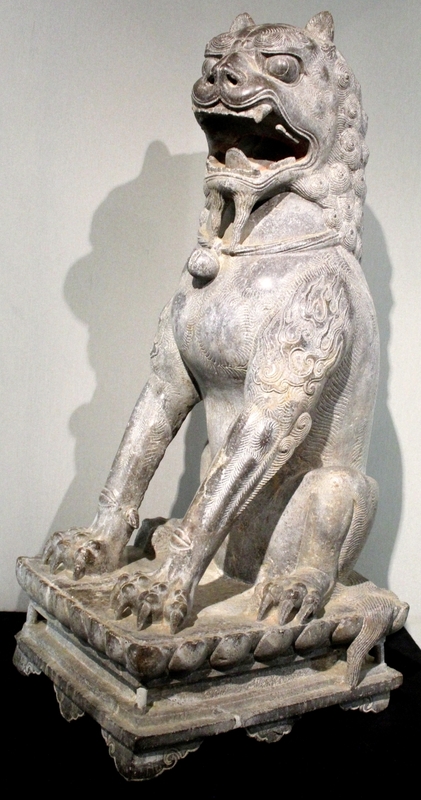 “I’m looking forward to next year. 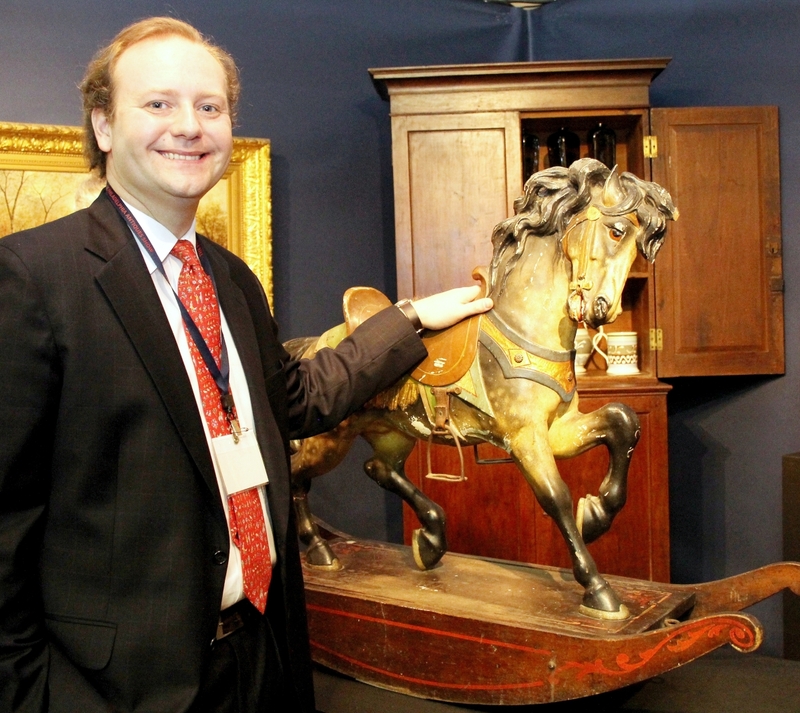 In fact, I just bought two things today that I’m holding,” Delaware dealer James Kilvington told us. 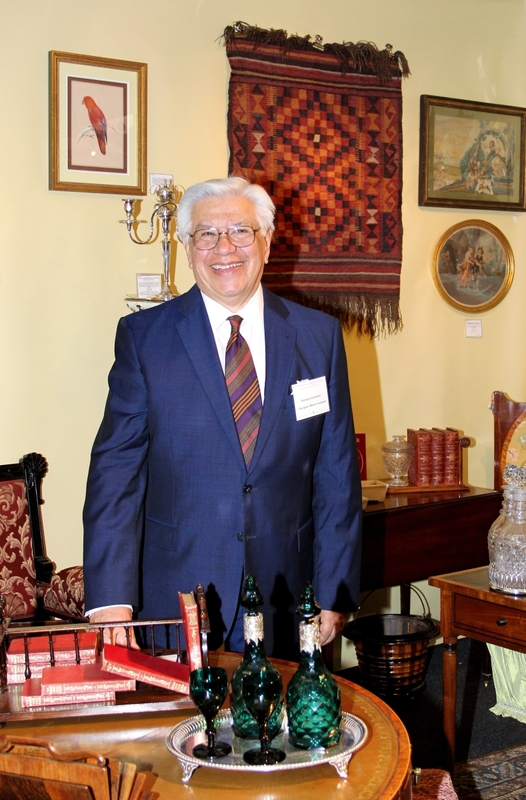 “We raised a significant sum for Penn Medicine and we feel very positive. 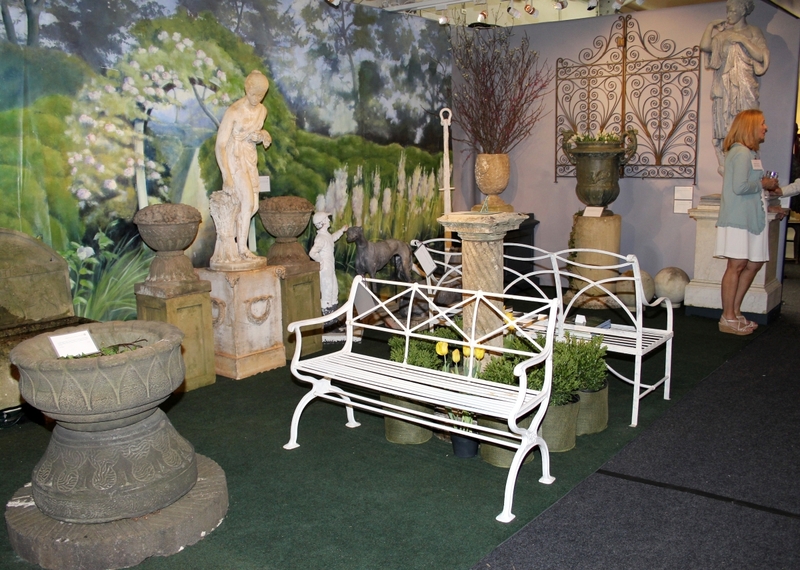 The show was absolutely successful. 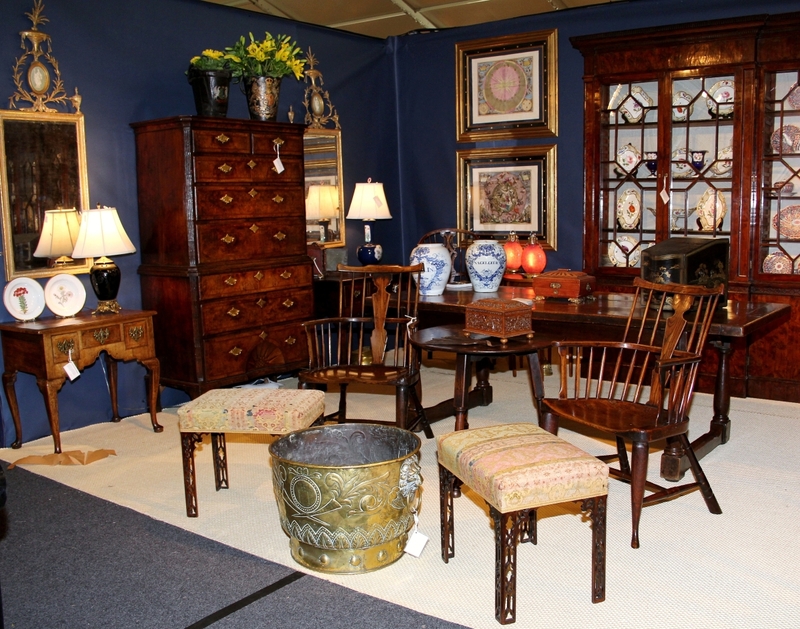 It is a great cultural event for the city of Philadelphia and for most of our dealers,” said Karen DiSaia. 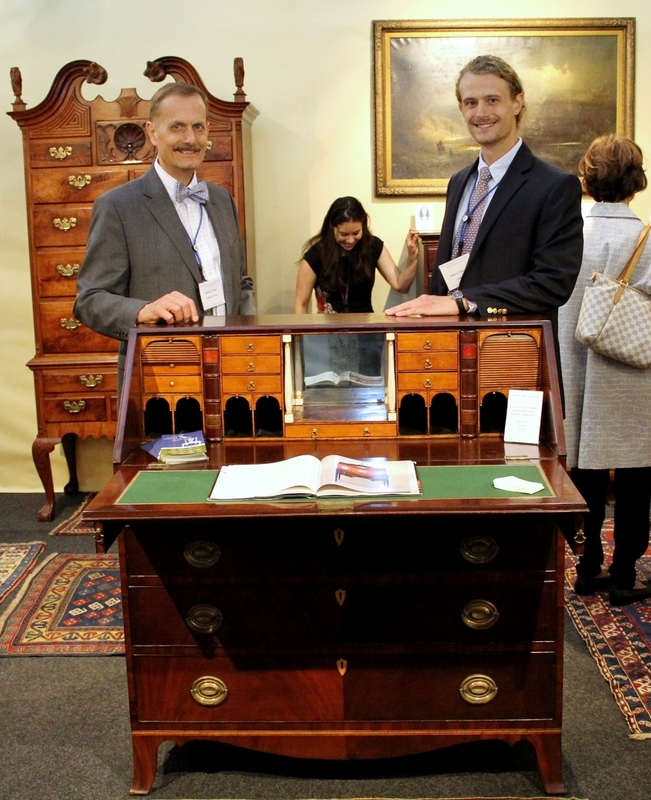 Jamie Price, left, and his son, Jay, with a Federal figured mahogany and inlaid slant-front desk attributed to William Sinclair of Flourtown, Penn., circa 1805. 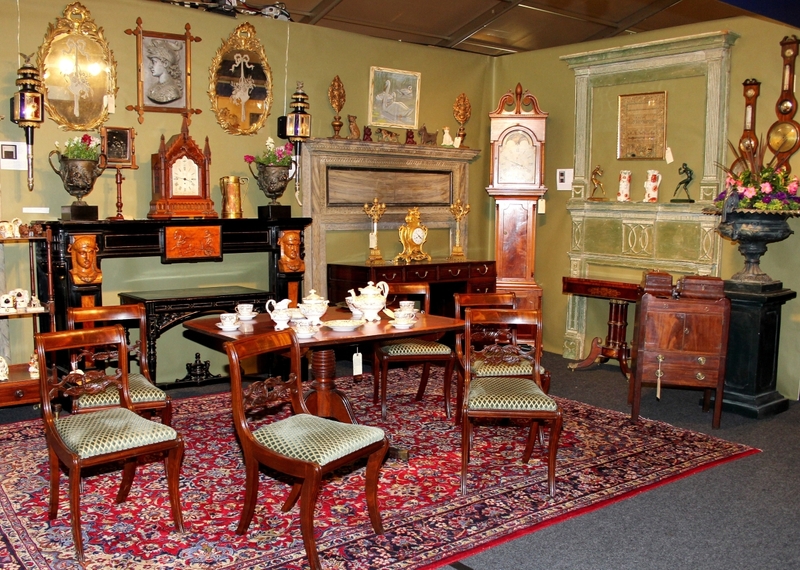 James L. Price Antiques, Carlisle, Penn.